Caravan Guard nominated for two British Insurance Awards! 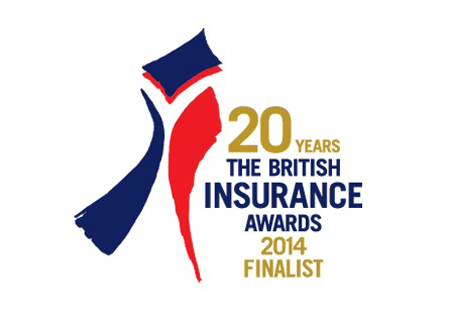 We watched with baited breath yesterday as the 2014 British Insurance Awards finalists were revealed online. Imagine our delight when our name came up in not one but two categories: The Community Broker of the Year and the Personal Lines Broker of the Year. The first award recognises our continued work within the local community and celebrates the way we support charities like Heart Research and Overgate Hospice as well as unique projects like our recent sponsorship of Hannah Cockroft. The Personal Line Broker of the Year award is a little different; it commends top quality service and praises how well we’ve developed new products to offer customers like you more choice. This year’s event will be held at the stunning Royal Albert Hall in London on the 9th of July and as it’s the Awards’ 20th Anniversary, it is expected to be extra special. It’s not the first time Caravan Guard has been nominated at the British Insurance Awards, let’s hope 2014 see’s another victory. Despite endless phones calls (I have names, times and dates) with Caravan Guard, the Insurance underwriter and SPI, I still don’t know whether the correct worktop has now been ordered for my caravan or even who’s going to carry out the repair. Never even had anything in writing regarding the claim. After 79 days and counting, no positive response as yet from your company. Well they do say you don’t know how good an insurance company is until you try to make a claim. The answer so far is, pretty poor. I’m really sorry to hear that you’re not happy with the service you have received from us. I’ve spoken to our Claims Liaison Department who assure me that they’re currently working with the loss adjuster team at SPI to resolve your claim. If you would like to call the team on 01422 396 815, they will be happy to update you and answer any questions you may have.